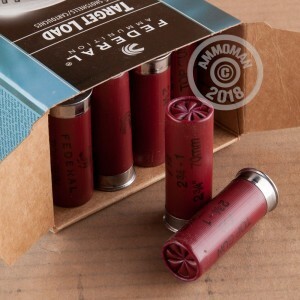 This 12 gauge ammunition from Federal's Top Gun series is an economical target load ideal for breaking clays and hunting small game and birds. Each shell in this box of 25 fires a one ounce payload of #7.5 shot at 1,180 feet per second, producing relatively mild recoil and good patterns at short to medium range. These shells are loaded in Anoka, Minnesota, where Federal has manufactured ammo for nearly a century. 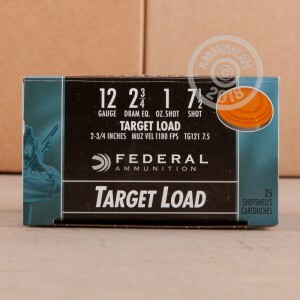 This load is a great way to get inexpensive range time, so don't stop at just one box. Place an order at AmmoMan.com for $99 or more and get free shipping!